The DimDrop portal can be configured to track any number of asset location feeds from files, web services or direct database access. The map views can be made available to the public or just to internal portal administrators and business teams. 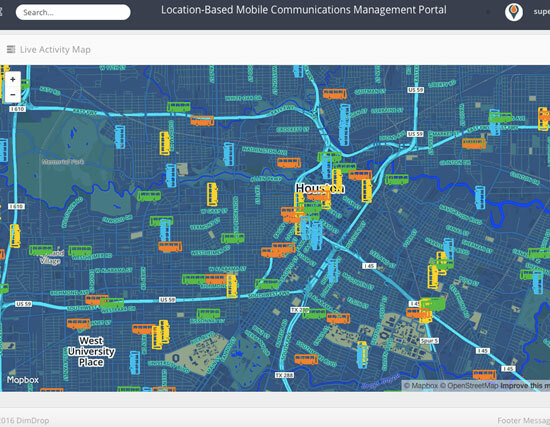 This example live feed shows the near real-time location of Houston METRO buses.